Oh ok .. I should have assumed that, since a moderator would have most likely used "Please" and "Thank you" in their requests. Lol, do you think mods are the only one with manners around here? 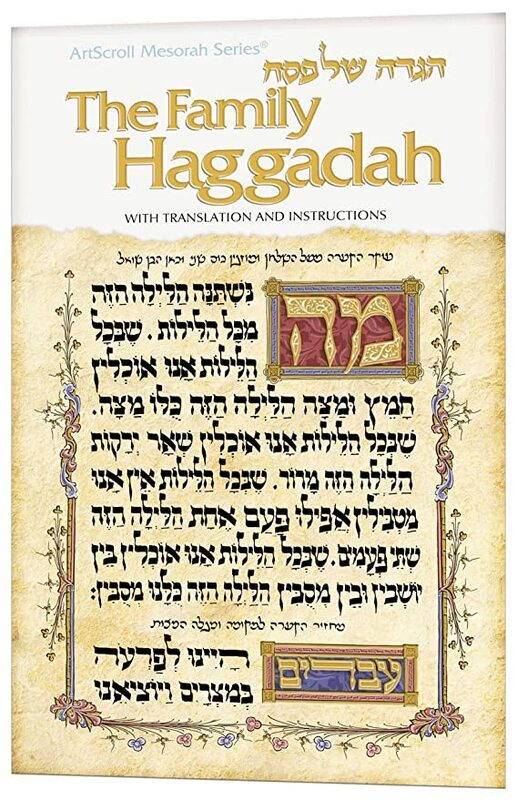 This is a very basic haggadah, but for $2.69 a decent price. Get 90 DAYS FREE of Amazon Music Unlimited with purchase of an eligible book." General Discussion / Re: How should groceries deal with "By The Case"
Either KRM style or bingo style. Now don't forget KRM owns the entire area where they are so for them space is not a problem and storing items all over is fine. So when it comes to cases the worker goes to pick up whatever it may be, and they're smart as all the common cases they keep right outside and allow the customers to take by themselves. Goods For Sale/Trade / Re: PSA: Trading With New Members! Alol.. I saw some nice ones the other day, you have a wealthy FIL then he takes care of you.. It's putting ideas in peoples heads. Yes .1% of people can come along and steal a car. but 1% will steal a car if the keys are left in the ignition. + and - is cool, but what don't you like? For example a guy like @davidrotts63 one day he bumps into a site called dansdeals forum and creates an account, he seemed like a very knowledgeable person, with Keen eyes. First he became my buddy when he joined DDF, And now he blended in like a long time member. Was thinking to have him over for my pesach Seder but thinking again before that happens..
You got to be careful out there..
Can we delete half the posts on this topic and in other threads related to this.. all we are doing is giving scammers ideas needed to make themselves look more legit. If there's someone really good out there he knows what he's doing even without your/our help. It's like saying the news shouldn't publish stories how the burglars broke into someone's house, hence you're giving ideas for thieves and burglars have to break into people's houses. Obviously that's a dumb statement because you got to live life and that's what happens you just have to prevent it by taking security precautions on your end. in my opinion I think you can accomplish more by putting it out there and warning all the members that there's those that will scam people whether new members whether old members it's on your end to make sure you don't get scammed and take the extra steps to avoid being scammed. You mean imagine we do the bedikas as good as we do with the pictures. Thanks, but nothing doing in that thread. Will repost those pictures from above, wouldn't mind one of those ,just unsure which one? The easiest way to post a pic for all of them. Sure feel free to use 4 siblings ss, and I should have 4 Aplctns for that at home. Then I guess I found the right Haggadah, it even speaks for you. So what you charge for the pesach Seder? Nice observation, I missed this one. Many many differences.. and congratulations on your 5k count. Many more God willingly.